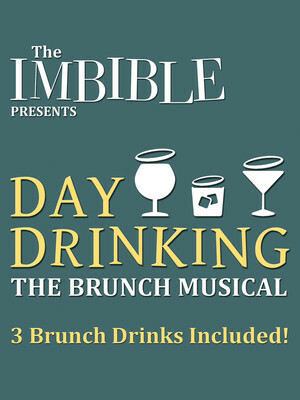 Following in the footsteps of hit comedy-edutainment shows like Assume the Position with Mr. Wuhl and Colin Quinn's Long Story Short, The Imbible sweeps audiences along a 10,000-year journey through history and across the globe accompanied by craft cocktails and the vocal stylings of The Backwaiters acapella group! 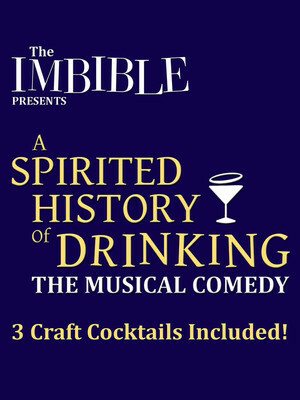 The team behind long-running Off-Broadway, smash-hit The Imbible: A Spirited History of Drinking, comes their latest edition of music comedy about cocktails and spirits! Afterall, when you're able to enjoy an authentic Irish Coffee, create your own Bloody Mary, and sip a seasonal Bellini there really is only one place to be! In the heart of Manhattan's world-famous Theatre District. The Green Room is part of the New World Stages complex. Please note: The term The Green Room as well as all associated graphics, logos, and/or other trademarks, tradenames or copyrights are the property of the The Green Room and are used herein for factual descriptive purposes only. We are in no way associated with or authorized by the The Green Room and neither that entity nor any of its affiliates have licensed or endorsed us to sell tickets, goods and or services in conjunction with their events.